Lesser Poland boasts a number of wildlife sanctuaries. 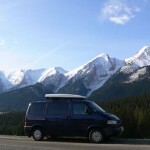 One of them is located thirty km from the High Tatras in a lower but extremely picturesque Pieniny Mountains range. 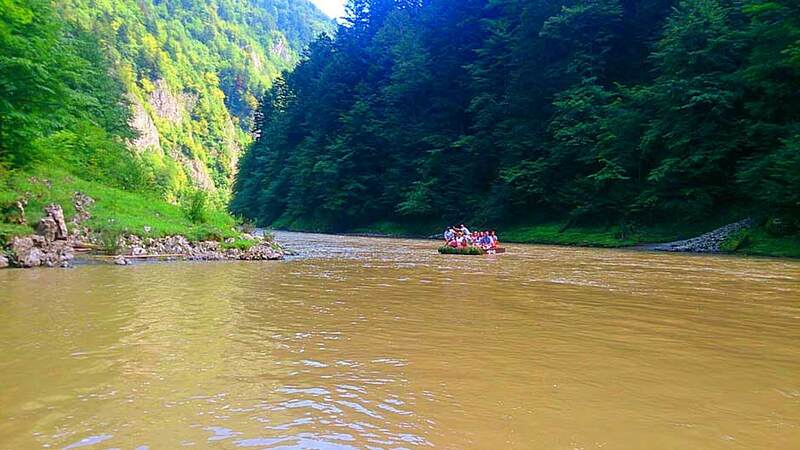 The National Park situated in the area of central Pieniny range is worth recommending for a short but steep trekking tour. 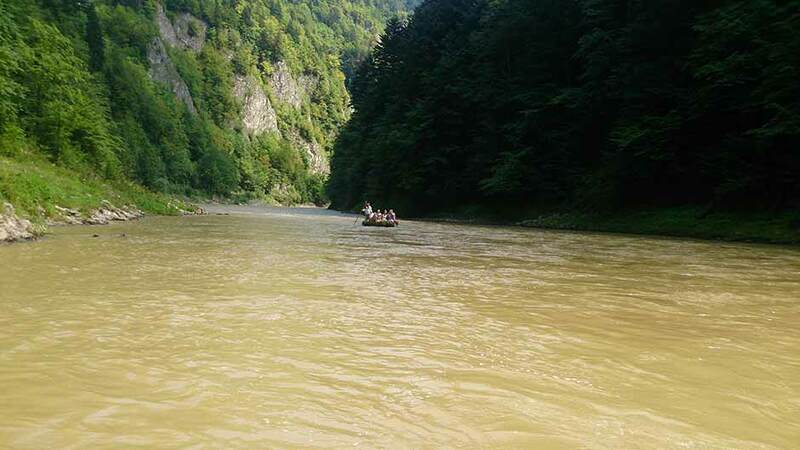 For those looking for a more relaxing tour we have a raft trip through the Dunajec River Gorge. 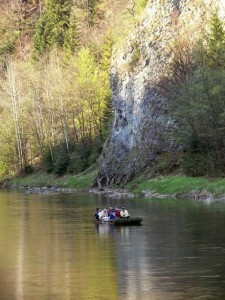 It is a spectacular stretch of the Dunajec River meandering for some 10 km between 300-metre-tall limestone rocks. 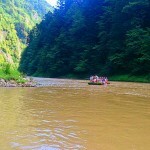 Dunajec is a border river between Poland and Slovakia. First, you can see Polish and Slovak villages on both sides of the river. Then, you can admire an impressive gorge which narrows to the 12-metre-wide funnel at its narrowest point. The river is winding gently through a breathtaking landscape. 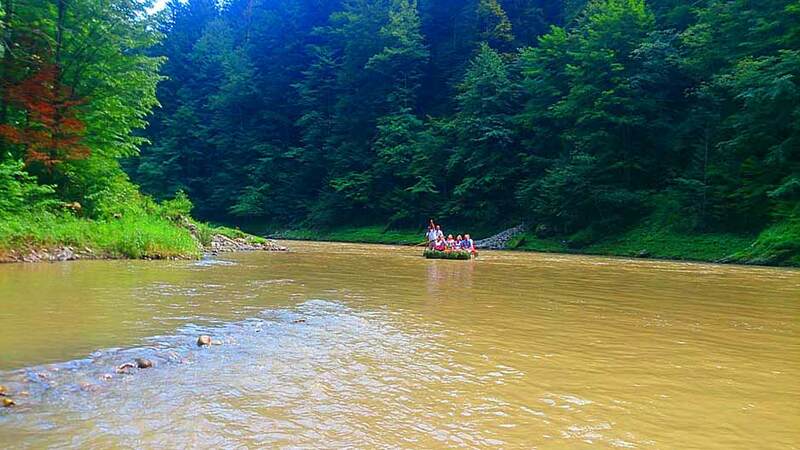 If you are lucky, you can see a trout shoal or a black stork hunting near the bank. Ducks have already learned that the canoe passengers can be an easy source of food. A visit to Niedzica village and castle, the view of the Czorsztyńskie Lake from a 400-metre long and 56-metre high dam. 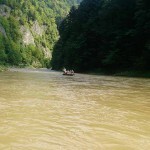 Rafting tour on Dunajec River in a spruce canoe for 12 passengers and 2 raftsmen. 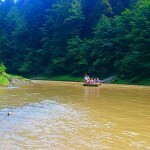 Price: 1-4 persons 195 PLN per person,4-7 persons 170 PLN per person. Over 7 persons price negotiable. 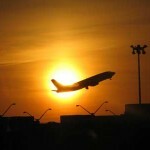 the price not incude the meal.